Bí Páirteach/Join in the work! Thanks a lot to everybody who attended our parents information meeting on Monday night. Over forty parents attended and heard a very iinteresting presentation on the role of the PA from Sharon Hayden of the National Parents Council. Some great ideas were presented on the activities that could be undertaken this year. Some of you have already volunteered to get involved in the association’s work but you can email our Chairperson Eimear at tuisti@osrai.com to offer your services as a class rep or in any other way you think you can help out. Do thuairim ag teastáil/Your opinion needed on new subject! Tá an NCCA ag lorg do thuairim ar mholadh nua don gcaraclam. Léigh faoi anseo agus seol do thuairimí ar aghaidh. The National Council for Curriculum and Assessment is looking for your views on a new ‘Religions, Beliefs and Ethics’ section of the curriculum. Please visit the site here and let them know what you think. You can also read about it in today’s Irish Times. Here is an outline of our progress so far on our process of School Self evaluation. We have both the Gaeilge and English language versions available here. We are delighted to comply with our obligations to report to you as parents on our progress on numeracy and literacy and look forward to your active support in this work. I nGaelscoil Osraí, bímid i gcónaí ag iarraidh sár-chaighdeán a bhaint amach i ngach ábhar. Léiríonn scrúdaithe caighdeánaithe agus bell grafanna Sigma, Micra agus Drom Conrach/ Gaeilge go bhfuil na hábhair seo an-láidir sa scoil. Tugann sé tacaíocht dár gcuid múinteoireachta agus léiríonn sé go bhfuil éifeacht ag baint leis na nithe nua a bhíonn i gcónaí á thrialladh againn le tacaíocht na dtuismitheoirí agus an Bhoird Bainistíochta. 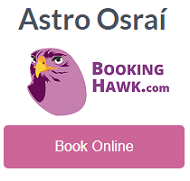 Léiríonn said go bhfuil an scoil thar an meán ins na hábhair seo, agus tá sé seo árd i measc na haidhmeanna atá againn- an caighdeán is airde foghlama a bhaint amach leis na modhanna múinte is fearr. sár-chaighdeán Matamaitice a threisíonn na cinní a thógamar ó thaobh comhoibriú, idirdhealú, múinteoireacht fóirne/ buíonteagasc agus comhpháirtíocht baile/scoile. sár-chaighdeán sa Ghaeilge agus slat tomhais scoileanna Gaeltachta agus Gaelscoileanna á úsáid, a dhearbhaíonn an obair leanúnach, léigear sa litearacht agus sproiceanna comhcoiteann maidir le caighdeán na Gaeilge a fheabhsú. aithnímid go bhfuil sár chaighdeán sa léitheoireacht Béarla freisin agus infheistíocht mhór déanta sa leabharlann scoile, le cabhair pobal na Gaelscoile. Glacaimid leis i gcónaí gur féidir a thuilleadh a bhaint amach agus tá an scoil réamhghníomhach i leith foghlaim na bpáistí. Gaeilge: an próiséas scríbhneoireachta, na seanraí scríbhneoireachta agus cruinneas na Gaeilge labhartha agus scríofa. In Gaelscoil Osraí we are always trying to achieve the highest possible standards of excellence of teaching and learning in all subjects. The results of standardised tests and bell curves of results in the Drumcondra, Sigma-T and Micra-T tests show that Gaeilge, English and Maths are being taught to a very high standard in our school. This supports our teaching approaches and in particular shows the positive impact of the new approaches we are constantly introducing as a staff, with the support of parents and our Board of Management. They show that our school is above the national average in all three areas and this renews us in our efforts to continue to increase those standards of excellence in our teaching and learning. Excellent standards of Mathematics which supports the decisions we made to introduce co-operative teaching which includes differentiation, team-teaching and home-school co-operation. Very high standards of Gaeilge in comparison with the standards as judged in comparison with other Gaeltacht schools and Gaelscoileanna, reaffirming our ongoing work of continuously striving to improve the standard of written and spoken Irish among our pupils. We always accept that there is more that we have to do and achieve and our school is always pro-active in terms of our children’s’ learning. Gaeilge: the writing process, use of the different writing genres and in accuracy and richness of expression in written work and in spoken language. English: Concentration also on the different genres of writing. Mathematics: Problem Solving and the language of Mathematics. We look forward to your support in this work and welcome any suggestions you have in helping our school to reach even higher standards for all of our children. o If any parent wishes to contact the Board this can be done in a number of ways: directly to the chairperson (Cáit Ní Mhurchú), secretary of the Board (Seán O hArgain) or through the Parents Association. School Uniforms: Discussions have taken place with Hugh Paul who has reduced the costs of the tracksuits and t-shirts. The tracksuit bottoms will now not have a zip on the end of the leg. H. Paul has also agreed to exchanged unused tracksuits bottoms/tops for a more fitting size (as there is concern that tracksuit bottoms are often too long). Reduction to class interruptions: parents are asked to contact Eileen if our children have forgotten to bring lunch boxes, sports gear etc to school. Eileen will then contact the class to have the item given to the child. Key Pads on external doors of the school: it is currently being discussed if key pads should be placed on the external doors of the school, this is in an effort to reduce unauthorised persons entering the main school area. **Khans Books**: coming to the school on 24th &25th November, there will be a wide range of books on sale costing as little as €1, including a large number of ‘leabhair as gaeilge’ 10% of all sales is given back to the school to buy books for the class rooms. Cards/Calendars: planning for these is well under way and they should be available in early December for sale. If any parent wishes to advertise in the calendar, please contact Caroline Clifford (087)2330026. *****Christmas Fayre*****: this will take place on 4th December, 2pm -5pm in the school. It is hoped that it will be an enjoyable social evening for both parents and children. There will be a cake sale, tea/coffee, games for all. We would appreciate it if parents would donate cakes, biscuits etc. If anyone would like to help out on the night please let the parents association know. If any parent would like to have a stall at this event please contact Trish Murphy, 086 8368966. More details in the near future! As always all parents are welcome to attend the parents association meetings, the next meeting is on the 13 December, please come along. Beidh cruinniu tábhactach chun ainmnithe na dTuismitheoirí a thoghadh don mBord Bainistíochta anocht ag 8.15 pm in halla na scoile. A very important meeting takes place tonight to elect the male and female parent’s nominees to the new board of management. The meeting will take place at 8.15 pm in the school hall. Welcome back to all, to returning parents and to new parents to the school. Coiste na dTuismitheoirí would especially like to welcome back all the children and we hope each and every one of you had a healthy and happy summer. The first meeting of the Coiste na dTuismitheoirí was held on 6 September. We are all well rested after the summer break and full of ideas for the year ahead. We would like to take this opportunity to thank all the parents for your help and support last year and we encourage you all to once again offer help whenever you can. As the true old saying goes ‘many hands make light work’. Last year we aimed to include as many children and parents in all our events, we feel that this was achieved and hope that everyone enjoyed the year as much as we did. We have provisionally outlined some events for the year ahead. If anyone has more suggestions, they are very welcome. We also encourage anyone who has expertise to share to please offer your help and advice. 1. Infant Tea: To be held in the school hall on 19 Sept 11, from 13.30 – 14.30. Teas etc will be organised by Naí. Mhóra parents for Naí Bheaga parents. Offers of help, offers of goodies or enquiries to Kim Kinsella(0879832439) or Caroline Clifford (0872330026). 2. AGM: 27th September 2011 in the school hall. Everyone is welcome to this meeting, don’t worry if you come to the AGM it doesn’t mean you will get a job! Unless you want one that is.! Nominations for the committee can be submitted on or before this date and election of officers will take place on the night. You should all have received notification of this and a nomination slip in your email. It was agreed that this year we should not have class reps, but instead everyone interested should be on the committee. 3. Halloween Disco: Sunday 30th October between 3-5pm. We are looking for volunteers to supervise the halla on the day from 3 to 5 pm. Enquiries to Pamela Donovan on 085 2703798. 4. Table Quiz: it has been decided by the committee to run a family quiz night this year, to hopefully include a greater number but more importantly to include the children. 5. After school Club: there is an after school club currently in the school, which will be rolled out shortly to classes for first class upwards. 6. Garden: We need help with the garden. The garden project needs help and advice. We would welcome all you gardeners out there to please contact us, all help and advice is much appreciated. Please contact Múinteoir Siobhán if you have any suggestions or want to volunteer. September: Infant Tea, to welcome all the parents of Naí Beaga and to helpparents to get to knoe eachother. October: Copper Friday; this is a drive to collect ‘copper coins’ only on each Friday, there is a container in every class room where the children can deposit their coins. Halloween Disco: Provisional date Sunday 30 October, 3-5pm. Nov/Dec: Bazaar, details to be discussed at next meeting, proposed date December 4th 2011. Christmas Cards/School Calendars: we hope these will be as successful as last year. March: Clothes Sale, to be open to the public. Events that were discussed for this term include; Communion Leaflets and Certificates, White Tea, Family Fun Day, Big fund raising event e.g. Golf or Triathlon. Details of all these must be finalised at the next meetings so as to allow plenty of time to get them going. *We hope to be able to send out a newsletter each month to all parents in an effort to keep everyone informed of the work being undertaken by the committee. *As always parents are encouraged to use the suggestion box located in the entrance hall to contact the committee. . We welcome any comments or suggestions, especially views from the parent body regarding what parents would like to see the parent association working on or involved in. The views of all parents in the school are needed and are important. For further information on the role and function of a parent association you can look at www.npc.ie – ‘Working Effectively as a Parent Association’. *The committee will meet with the Bord of Management in the next few weeks to discuss our plan for the year and to agree where our fund raising efforts will be directed. We will update you in next month’s nuachtlitir. Updates regarding the new committee and contact details will be available after the AGM. 1. Clothes Sale: 20th Bealtaine, in the school hall. Clothes were donated kindly by all parents. A great night ensued and was enjoyed by all. Thank you to everyone who helped, who donated items and who supported the night. 2. DIY Help Wanted: 18th June 2011. We are trying to organise a DIY day at the school. We are hoping to build benches along by the playing pitch, to build a garden shed and to generally tidy up the outside of the school. We are trying to organise that we have all the raw materials available for the day. Any offers of help will be greatly appreciated. Any donations of building materials will be considered, eg blocks, sand. Advice is especially needed! Please contact, Caroline Clifford 0872330026 for enquiries, suggestions or direction. 3. Family Fun Day: 28th June 2011, 5.30 to 7.30pm, in the school. Yet again we expect this to be a great school occasion, where families can mix, mingle and relax for a while. All are welcome. We will need some volunteers to supervise the activities, which with many hands will only mean 20 minutes each allowing you to spend the rest of the evening enjoying the spraoi! More Information closer to the time. 4. Copper Collection: This fund-raising idea is currently under way. Each class room has a container/ jar into which we are encouraging donations of ‘coppers’. Thank you all for any contributions. 5. Confirmation: 14th May 2011. We hope all the children and their families had a great day, a special thank you to the Múinteoirí who worked with their classes to make this a great day. Thank you also to the parents who helped with the leaflets. 6. Communion: 28th May 2011. An taé bán, will take place again immediately after the communion mass in the school hall. This is a great event where families can have a welcome cup of tea after a busy morning. If anyone would like to help out on the morning or donate goodies, please let us know. 7. An Gairdín: if anyone would like to help with the school garden, please come to the garden between 1.50 and 2.50 each Friday. Small garden tools are available but bring gloves! If there is no one else there, feel free to pull some weeds! 8. Reptile Village: The parents association have arranged that reptile village will visit the school on 16th June 2011. This is a great experience where all the children will get a chance to meet and greet snakes, spiders and snapping turtles. For this event we need some help from parents. We need to be able to quickly move the classes on to ensure all children have an equal opportunity to meet the ‘lizards’!!!! 9. New entrants 2011: We would like to welcome all parents of children starting in the school next September. There was a great turn out at the parent information evening on 10 May 2011. We especially welcome new parents to the school and hope that some of these new moms and dads will join us in our efforts for the school. 10. Next year we hope to have available early in the school year targets for our fund raising efforts. Any new suggestions for fund raising events welcomed. Some ideas so far include a sponsored walk, cycle or climb. As always all parents are welcome to contact the Coiste na dTuismitheoirí with suggestions. Please use our comment box located in the front corridor of the school. In case you were wondering whether the Coiste na dTuismetheoiri still exist – We do! Even though we have not had a newsletter since December/January the committee has been working away behind the scenes. The Committee has met January, February and March and has been working on various issues/events. • The Coiste have sponsored a visit to the School from the Reptile Village in Gowran which will happen in May. • Have been investigating other options with different uniform suppliers. The Coiste are in discussions with the Board of Management with regard to this issue. • We have discussed the idea of putting benches/seating areas beside the footpath, looking out on the playing field. • Copper Friday is a clever fundraising event which gets all the children involved. Each class will have a container (Like a 5ltr Water Container), Each Friday children will bring in coppers, 1c, .2c or .5c. At the end of each month the class with the most money will win a prize. • Clothes sale; The Coiste are currently working on another big fundraising event. We are looking for clothes in good condition to be donated to the Coiste, for example clothes which are too big/too small in good condition are taking up space in your wardrobe or your children’s wardrobe. With these donations the Coiste will then organise a clothes sale. All clothes donated must be in good condition. Anyone interested in helping out please contact Kim Kinsella 0879832439. The Coiste will be in contact with further details when a date has been decided. • The Coiste will as always organise the Family Fun Day. More details will follow with details etc. HELP WANTED Help wanted to help out with the Confirmation Day. We need people to help put together the leaflets for the Confirmation Mass. Please contact Caroline Clifford at 087 233 0026 ASAP. Also, help needed every Friday between 13.50 and 14.50 with the school garden. We will be there with our shovels and spades, please bring your gardening gear and knowledge, join us and help us. APOLOGIES The Coiste would like to apologies for not holding a Communion Dress Sale/Swap. While there was some interest it was felt that there wasn’t enough interest to hold this event, however it is planned to hold this event in January 2012 in time for the 2012 communions subject to numbers. Anyone interested in this event please contact the Coiste October/November 2011. THANK YOU The Golf day which was to be held on 29 April has been cancelled, it is hoped that taking a break from this event may generate renewed interest next year. We would like to thank all who helped to make this event a success in the past, the organizers, the sponsors and most of all the supporters. Thank you to all who helped with the St. Patricks Day Parade to all who marched and to everyone that shouted encouragement. 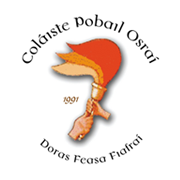 This year was a great success having joined forces with An Coláiste Pobail Osraí. Everyone had a great day. This is the first newsletter form the 2011-2012 Coiste na dTuismitheoirí. We are very hopeful that with all your help and support this year will be every bit as enjoyable and successful as the past years. If there are any concerns or issues that you have in relation to the school please contact a member of the committee or you can put any suggestions or correspondence into the Coiste na dTuismitheoirí post box in the front hall of the school. The first meeting of the committee took place on 11 October. Everyone is welcome to attend any of the associations meetings. Meetings are held on the second Tuesday of every month at 8.30, in the school. Halloween Disco: All set for Sunday 30th October. Fancy Dress encouraged for children and parents. There will be parents supervising the hall on the evening but we ask all parents of the infant classes to either stay with their child or have a nominated adult to look after your child. There will be a small shop selling pre-packed bags of sweets on the day (€1). If you can and would like to help out on the day please contact Pamela Donovan (0852703798) or Edel Obrien Byrne (0879687742). Christmas Cards and 2012 Calendars will be available to buy from the school in late November. There will be a card from every class, where each child will have helped to make it. The calendars will also be representative of every child. Copper Friday Collection: this was a great success last year. the idea is on each Friday children bring in ‘copper’ money only and deposit it in a jar provided to each classroom. We hope to start this later this month. Khans Book Fair: on the 24th and 25th November Khan’s books will hold a book fair in the school. Most books are of low cost (€1 & €2) but of the highest quality. There will also be a great range of ‘leabhair as gaeilge’. There will be some book for everyone. On the days we will organise times that each class can visit the fair, parents are also invited to come along. We will need a small number of parents to help run the event, if you are interested in helping out please call Caroline Clifford (0872330026) of Anne Bateman (0864080549). Christmas Bazaar: following on from last year’s success, this will go ahead again this year. This event was enjoyed by all last year and we have no doubt that this year it will be equally as enjoyable. The Bazaar will be held on December 4th, from 2 – 5 pm. There will be tea/coffee, children/parent games, Mrs or Santa Clause and much more on the day. Put the date in your diary as the whole family will enjoy it! If you wish to help out on the day please contact any member of the committee, we will need lots of help on the day! School Milk Scheme: the National Dairy Council (NDC) has been trying to raise the awareness of the importance of children drinking milk. The NDC has contacted the school and can organise for milk to be delivered to the children in the school on a daily basis. The cost of this scheme is €1.25 per week per child, for a five day supply of milk. The milk would be delivered twice a week and stored in a fridge provided by the supplier. The members of the parent’s association committee think that this scheme is a good idea but we want to know what you think. If you have an opinion on this scheme please let us know. We would like to know how many would avail to the milk scheme. Please contact us by putting a note in the suggestion box in the front hall, by giving your child a note addressed to the parents association to the teacher or indeed by talking to us in the school yard. Board of Management: the Board of management of the school is due for re-election this December. The election of the parent’s representatives to the Board needs to take place now. It has been decided by the Parent’s association and the Board that that nominations will be taken to fill the two parent places between now and 7th November 2011. There needs to be a male and a female representative. At the next parent’s association meeting on 8th November the election will be completed. If you are interested or know someone that would be interested in one of these roles please put the name forward to Múinteoir Seán before 7th November. Next Meeting: 8th November 2011, at a slightly earlier time of 8.15pm to facilitate the election of the parent’s reps to the Board of Management. Everyone is welcome and encouraged to attend. Remember!If you would like to be involved in any event being organised please contact the committee. It doesn’t matter if you cannot commit to attending regular meetings. Help is always needed to organise events, the more help the merrier! There is always a laugh to be had and it is a great way to get to know people and become involved in the school community.